Speaking at his first meeting of the Faculty or Arts and Sciences as University President, Lawrence S. Bacow addressed a major hurdle that Harvard will face in the coming weeks: the lawsuit challenging the College’s admissions policy. Bacow dedicated several minutes at the Tuesday meeting — during the time allotted at each meeting for the President to speak — to the importance of diversity and the lawsuit’s potential to divide the Harvard community. 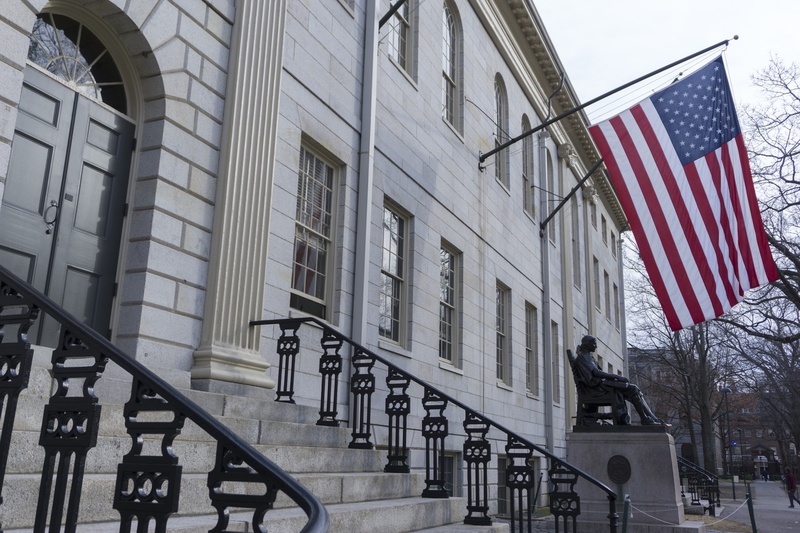 The lawsuit, filed in 2014 by anti-affirmative action group Students for Fair Admissions, alleges that Harvard discriminates against Asian Americans seeking admittance to the College. U.S. District Court Judge Allison D. Burroughs recently ruled that the lawsuit will go to trial on Oct. 15. Bacow said the trial will likely garner daily media attention for the next few weeks. He said he “appreciates” the faculty for recognizing the importance of diversity on Harvard’s campus. The trial also has “the potential to divide our campus,” Bacow said. He pointed faculty members who were interested in learning deeper about the case to visit a website the University created that contains copies of documents from the lawsuit. Following Bacow’s remarks, the meeting addressed several pieces of FAS business. Professor Jay M. Harris, who served as the Dean of Undergraduate Education until this summer, presented a proposal to change the College’s current foreign language requirement. The proposal would remove the wording in the requirement’s description that a “written component” must be part of the language, effectively recognizing languages such as American Sign Language. The new wording would also allow students to retake a language placement exam if they failed to pass it on their first attempt. Several professors indicated their support for the proposal, and some also emphasized the importance of the language requirement and suggested raising the bar for testing out of a language. “If we’re talking about diversity and inclusion, knowing a language that is not your own is absolutely crucial to diversity and inclusion, not only to this community but as a world citizen,” said English Professor James Engell, who supported the proposal. The Faculty will vote on the proposal at their next meeting. The Faculty Council — FAS’s highest governing body — have already voted to approve the motion, but their vote is purely advisory. Dean of the Faculty of Arts and Sciences Claudine Gay — also presiding over her first Faculty meeting — presented the Dean’s Annual Report, an update on FAS finances, faculty, and initiatives. Gay credited much of the report to the work of former FAS Dean Michael D. Smith, who served in the position for 11 years before stepping down this summer. Dean of Faculty Affairs Nina Zipser presented the faculty trends section of the report, highlighting the increase in women and minority faculty members on the tenure track during Smith’s term. Dean for Administration and Finance Leslie A. Kirwan ’79 outlined the financial section of the report, noting that FAS reached a surplus in its budget for the first time in seven years. All three administrators praised Smith, who was absent from the meeting, as promised, for the first time in many years. “What’s really represented in this year’s report is Dean Mike Smith’s legacy,” Gay said.